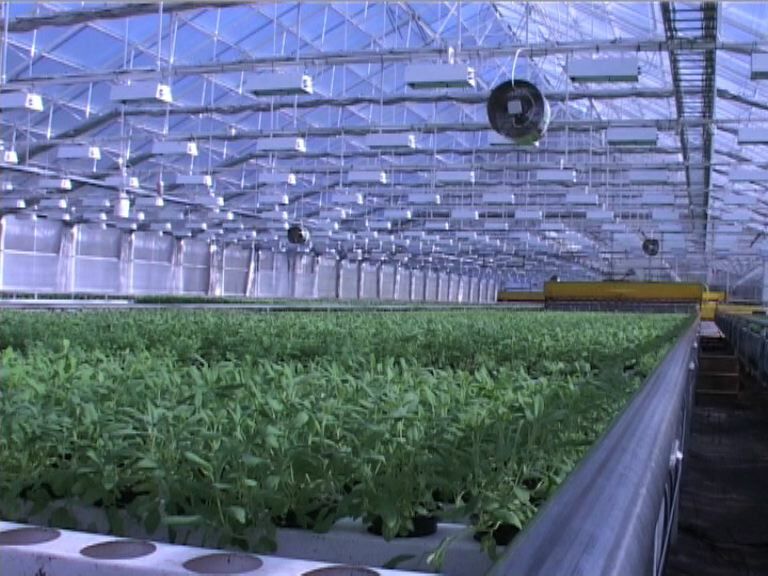 The use of EAFRD support for the modernisation of agricultural holdings to build a new greenhouse (supplied with renewable energy sources) and introduce new cultivation systems for growing herbs and lettuces in pots. Pots with lettuce and herbs are grown in an environmentally-friendly way at “Hällnäs Handelsträdgård”, a plant nursery in Västerbotten county in Sweden. The company produces an extensive of organic herbs and salads which are sold as private label products to the ICA, a large Swedish grocery, and as a private-label for Hällnäs Handelsträdgård. The primary objective of the EAFRD co-financed investment was the construction of a new 25 x 100m greenhouse together with a heating system fuelled by wood chips. Project activities involved all aspects of constructing the new greenhouse. The company believes that the investment will make it possible to employ two full-time employees, plus to make significant savings in energy. The new greenhouse also makes it possible to test new products and cultivation systems with further funding from the Swedish Rural Development Programme. A high environmental profile is central to the company. It has switched from oil to wood chips and is working on the development of solar and other alternative energy sources. The company has also, in order to save energy and costs, focused on transporting their products together with other transport companies.